It is with great pride that we continue to welcome students, parents, volunteers, board members, sponsors, donors and audience members alike to take part in our mission to enrich the community through the performing arts. We have many people to thank for our continued success: from Gordon and Betsy Argo whose initial vision and daring it was to convert the Town Hall into a Playhouse, to John and Elizabeth Kelly whose vision of a school for the performing arts resident in that Playhouse, to the incorporators, subsequent board members and volunteers whose dedication and hard work have ensured our survival. Add to that a consistently outstanding and dedicated faculty and most importantly the very life blood of our organization…the students, parents, performers and audience members alike who continue to sustain the dream of those founders. As we begin another busy year of classes in dance, music, theatre, outreach residencies, workshops, assemblies, main stage Playhouse and School productions as well as informal in class demonstrations and presentations, I am left with the clear understanding of one thing. This venerable institution survives because of what it continues to offer this community. Music, dance, drama, and the opportunity to find it within yourself and share it is a magic like no other. Long may we pursue this noble adventure and keep the possibilities and dreams alive for generations to come. The Addison Art Gallery, located in Orleans, MA, on Cape Cod, features "only the most riveting of talent" by emerging artists and established masters. This fine art gallery represents artists from across the United States, Mexico and France, and is home to many of the most sought-after Cape Cod artists. Housed in a charming Cape house overlooking Orleans Town Cove, the welcoming gallery provides a comfortable environment for viewing exceptional work. The ever-changing exhibitions include oil paintings, watercolors, pastels, photography, sculpture and mixed media. Movement. Space. Nature. People. 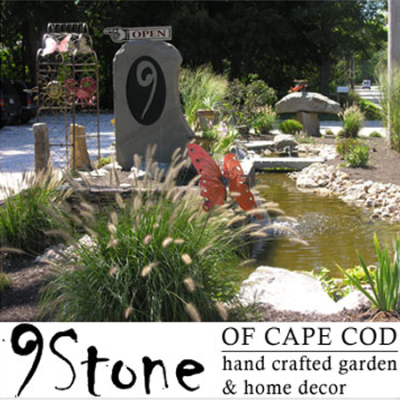 “I design sculpture for outdoor settings to entice people to come out and play.” Angela Rose Studio & Gallery is located at 766 Rte 6A, Dennis, Massachusetts on Cape Cod. It is open from May 15 – September 30. Open hours are after-beach-hours, 4pm-10pm, Tuesday thru Saturday,and by appointment. Evening is a good time for strolling through the garden, and exploring the installations inside the studio. Components of the installations and garden are available for purchase as mementos of time spent on Cape or gifts for loved ones. Sculpture, garden details and jewelry offerings are changing frequently, so check back often. I am available to create site-specific installations to activate space for organizations and businesses. Contact me by phone or email to find out more about how we may work together to create a sense of arrival for your space. The Artist Cottages at Orleans Market Square nurture and celebrate the creativity and talent of established and emerging Cape Cod artists and artisans, by providing a unique, affordable location to create and sell their work. And, the Cottages offer the rest of us, a fun and interesting destination. The Cottages are located in the Orleans Village Center, between the Farmer’s Market and the Hot Chocolate Sparrow – – right in the heart of the Orleans Village Center Cultural District, between Route 6A and Old Colony Way. Market Square is proud to declare itself “art-centric,” and in addition to the 8 charming Cottages (with revolving exhibits), you will find a growing collection of fabulous art installations: Gate, by Angela Rose; Mural of Orleans Depot Square, 1815, by Kathy Nora and Dan Joy; Fish — a Bike Rack, by Syd Alstrom; and The Brolly, by Michael Marrinan. AND, this year we also add Musicians to our roster of artists, who will perform every Thursday from 4:00 – 6:00. All are welcome to enjoy music, art, refreshments and food available from the onsite food truck. 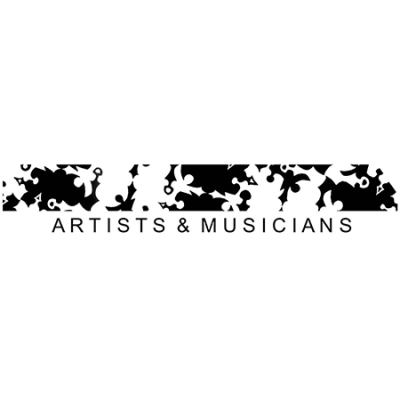 ArtistsAndMusicians.org provides marketing, public relations, and business services to creative people at affordable rates. Services include website development, videos, social media, and gig contracting, as well as press releases and other traditional media. The Artists Association of Nantucket sustains and enriches the visual arts on Nantucket. Established by a small group of island artists in 1945, the AAN continues to build on the success of its gallery, arts program, and permanent collection of Nantucket art, ensuring its essential place in the Nantucket community now and in the future. Join us! Become a member, take an art class, and visit the Joyce & Seward Johnson Gallery. Your support and commitment helps to inspire the island's artists and keep AAN a vital part of the Nantucket community. 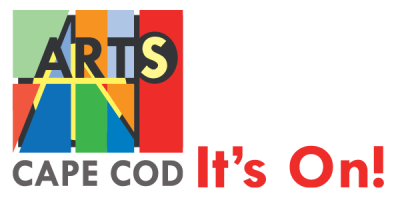 ArtsFalmouth is an all-volunteer umbrella organization for artists and art/cultural organizations in Falmouth and the Upper Cape. Its mission is to celebrate and promote local arts and culture. It’s purpose is to improve the community using arts as a vehicle and to foster a Creative Economy that will strengthen both the arts and the business communities. To this end ArtsFalmouth presents Arts Alive Festival, JazzFest Falmouth and Trad-Stroll Woods Hole. A gallery – boutique of art, gifts, home decor and garden accents for coastal living complementing antique American furniture, featuring American landscape painter C. Barry Hills and British printmaker Jo Barry. The upstairs level in the barn houses the studio of painter C. Barry Hills. Barry's Barn also has collections from Sola Gallery II (once located in Brewster, MA). The Solá Art Galleries specialize in Japanese woodblock prints, in addition to modern masters, contemporary artists, and local landscapes. There are artists represented from England, Italy, France, Peru, Japan and the U.S. The list is ongoing since the Solá's do a good deal of collecting on their frequent travels. With over 25 years of experience, Bart Weisman can provide from One to Seven Musicians and Music (Jazz, Latin, Pop, Rock, Klezmer, etc.) for all occasions and never too loud. Presenting the history of American Art as seen through the eyes of Provincetown Berta Walker gallery presents the History of American Art as seen through the Eyes of Provincetown. Artists are Provincetown affiliated, representing over 100 years of creating in Provincetown, America's oldest and longest running art colony. Exhibitions range from Charles W. Hawthorne, Hans Hofmann, The Provincetown Modernists (Oliver Chaffee, Blanche Lazzell, Ross Moffett, Agnes Weinrich, Karl Knaths, W. Ambrose Webster, Marsden Hartley), through to today. Please read about the artists, view their work, and contact Berta Walker Gallery with any questions or for more information. The mission of the Bourne Society for Historic Preservation is to preserve and maintain the historical assets, including historic buildings in the town of Bourne. This Greek Revival style house, furnished with 1830-1910 period furniture, is maintained by the BSHP and is listed on the National Register of Historic Places. A significant artifact is the Charles Raleigh painted ceiling. Also on the property is the Alonzo Booth Blacksmith Shop, a restored ‘smithy’ with a working forge, artifacts, tools and wagons. It is said that President Grover Cleveland had his horses shod at this blacksmith shop. The society provides a variety of programing throughout the year including special exhibits, house tours, lectures and trolley tours. The Brewster Chamber of Commerce is a private, non-profit, membership-driven organization comprised of 190+ business enterprises, civic organizations, educational institutions and individuals, each reflecting the entrepreneurial spirit of our seafaring forefathers and the hearty folks that launched commerce with a grist mill in 1663. Its mission is to provide leadership that facilitates the creation of a prosperous local economy and effective advocacy for its members. Investing in the Brewster community through Chamber membership supports a program of work that includes economic and community development, education and talent development, public policy, infrastructure, technology, as well as business attraction, retention, and expansion. The chamber also serves as the local Visitor’s Bureau. The Brewster Chamber builds its program of work around the three core principles an investment in membership brings: business connection, community impact and economic prosperity. Connect The Chamber helps to build a strong community by connecting its members to people and issues important to business success. Through Chamber programming, you and your business are engaged in activities that move Brewster toward a successful future. Impact The Chamber provides unique opportunities for its business leaders to influence civic, social and business initiatives that support community growth. As the voice of the business community, the Chamber offers leadership on issues that transform our community. Prosper On behalf of its diverse membership, the Chamber creates a climate of growth and success that benefits all business. Your membership investment allows your business and our community to prosper. Business Climate In Brewster, micro-businesses are in the majority, and many that directly serve summer visitors are seasonal only. Brewster is also the “professional hub” of the Lower Cape, home to numerous engineers, architects, lawyers, doctors and dentists, veterinarians, fine artists, tradesmen and others. 38% of the members of the BCC are in the Services Business Sector. Community Events The Chamber is the host of two, town-wide special events that bring thousands of visitors to the area during the ‘shoulder seasons’ of Spring and Winter, with the added benefit of funding scholarships for high school seniors and donations to local public charities. In addition, the organization hosts seminars and forums, and networking meetings and events that benefit the members throughout the year. 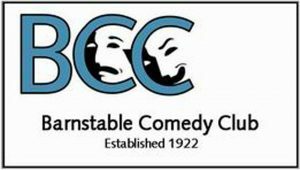 The BCC was granted 501(c)6 non-profit business league status by the Internal Revenue Service in 1993 and dues are 100 percent tax deductible as a business expense for members. The Brewster Chamber of Commerce is located at 2198 Main Street, Brewster. For information, call 508-896-3500 or go to www.brewster-capecod.com. Preserving the Past – Keeping it accessible for current and future generations The Brewster Historical Society collects and preserves artifacts, documents and photographs which chronicle and the rich history of Brewster. Since 1964, the society has ensured that the legacy of “The Sea Captains Town” is preserved and accessible for current and future generations. The society owns and operates a museum in a mid-19th century homestead that houses four permanent galleries, including a special exhibition area. The museum also includes an extensive document and photographic research area accessible by appointment. The society also maintains three antique structures at Windmill Village in Drummer Boy Park in West Brewster. The Higgins Farm Windmill, a restored 18th century windmill, The Harris–Black House, one of the oldest early American homes on Cape Cod and The Hopkins Blacksmith shop are all open to the public. Please see the Brewster Historical Society’s web page for days and hours of operation.